CHARLOTTE, NC – In preparation for the 20th annual Race for the Cure on October 1st and the start of Breast Cancer Awareness Month, Susan G. Komen Charlotte and Blue Cross & Blue Shield of NC will host “Paint the Wall Pink” at Charlotte Motor Speedway on Wednesday, September 28th, with Olympic Gold Medalist and Women’s World Cup winner Mia Hamm and six-time NASCAR Sprint Cup Series champion Jimmie Johnson. 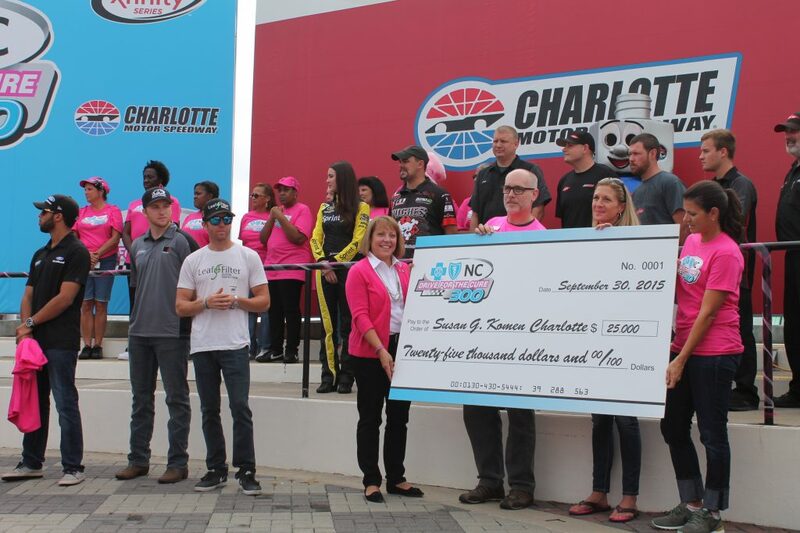 Breast cancer survivors and supporters will join Hamm, Johnson and NASCAR Xfinity drivers to paint the pit wall pink at Charlotte Motor Speedway. 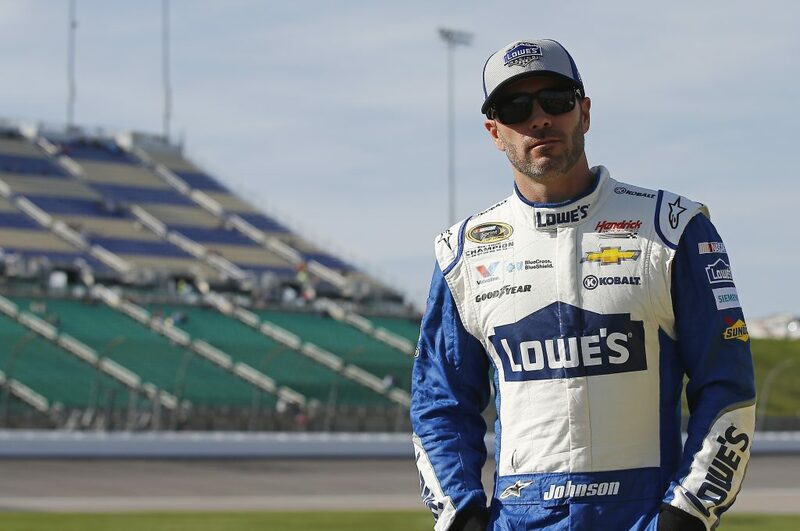 The new “Drive for the Cure 300” pace car will also be unveiled, which survivors will be able to sign. Highlights of Breast Cancer Awareness Month include the Susan G. Komen Race for the Cure on Saturday, October 1st, followed by the NASCAR XFinity Series “Drive for the Cure 300” at Charlotte Motor Speedway on Friday, October 7th. For registration or information about these events visit: http://komencharlotte.org/. According to the Centers for Disease Control and Prevention, breast cancer is the second most common form of cancer in women. About one in eight women born in the United States will be diagnosed with breast cancer in her lifetime. The Komen Charlotte Race for the Cure, historically one of the largest and most successful races in the southeast, will be celebrating its 20th Anniversary. Festivities begin in Marshall Park at 6:00 a.m. and include a 5K timed race, 5K non-competitive run/walk, one-mile route, Kids Fun Zone, Race Expo, Survivor Village, displays and entertainment. The timed run begins at 7:15 a.m. and the walk/run starts at 7:50 a.m.
A maximum of 75 percent of net proceeds from Race for the Cure stays in the local community to fund community health programs in a 13-county service area. The additional 25 percent of net funds supports the Komen Research Program, boosting major research projects across the country, including breast cancer research at North Carolina universities. Race for the Cure is also a celebration of life where women, men and children gather to honor and celebrate survivors and “Forever Fighters” (those with metastatic breast cancer) in the battle against cancer and to remember those who have lost their lives to this devastating disease. The Komen Charlotte Race for the Cure is presented locally by Novant Health and Mecklenburg Radiology Associates. 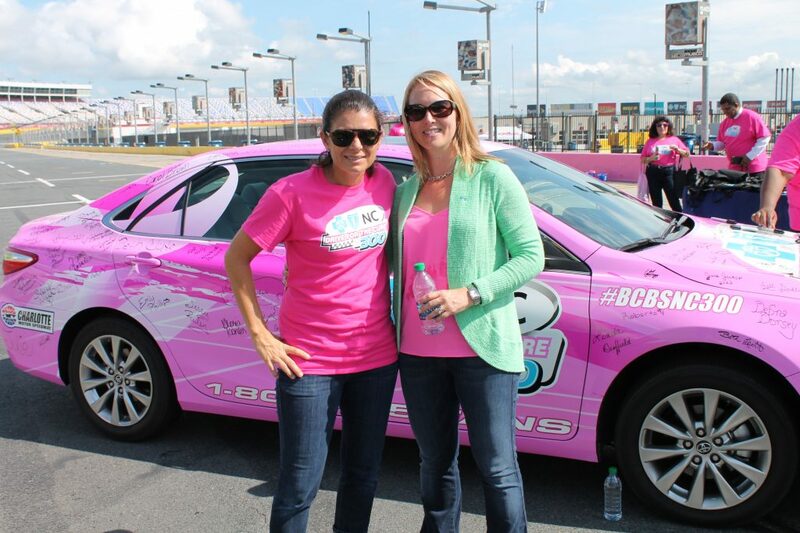 Race for the Cure and Drive for the Cure are sponsored by Blue Cross & Blue Shield of North Carolina.